Raw or cooked, Bartlett pears are a healthy addition to any meal as they are loaded with fiber, vitamin C and antioxidants. You’ll know your Bartlett pears are ripe when they turn from green to yellow. 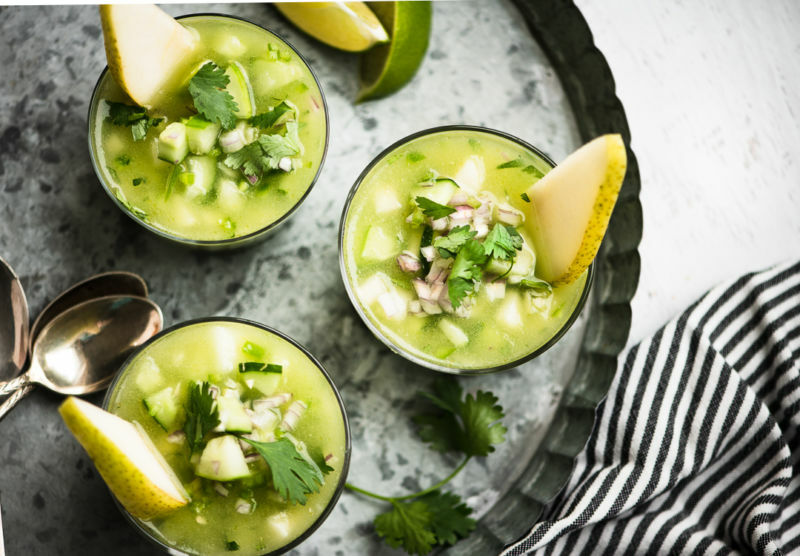 This original cucumber pear gazpacho is spiked with honeydew melon to create a refreshing and delicious chilled summer soup. Nothing says summer like ice tea! 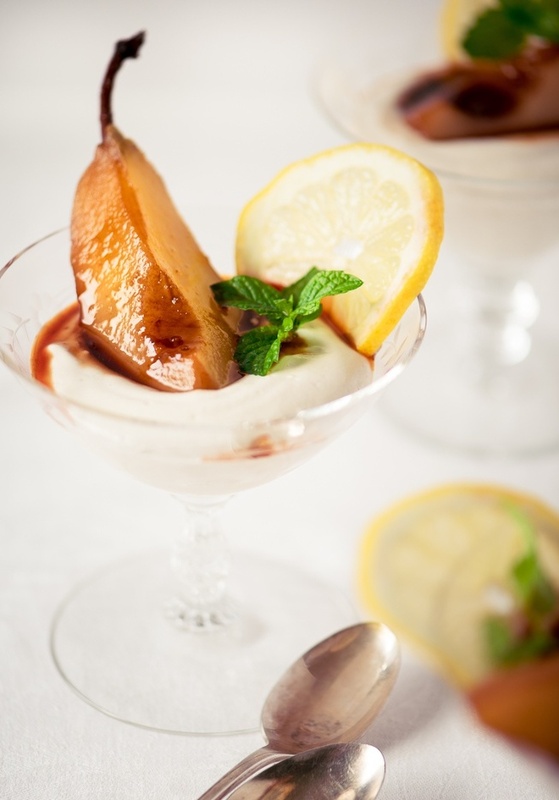 Our poached Bartlett pears are as elegant as they are easy to make. 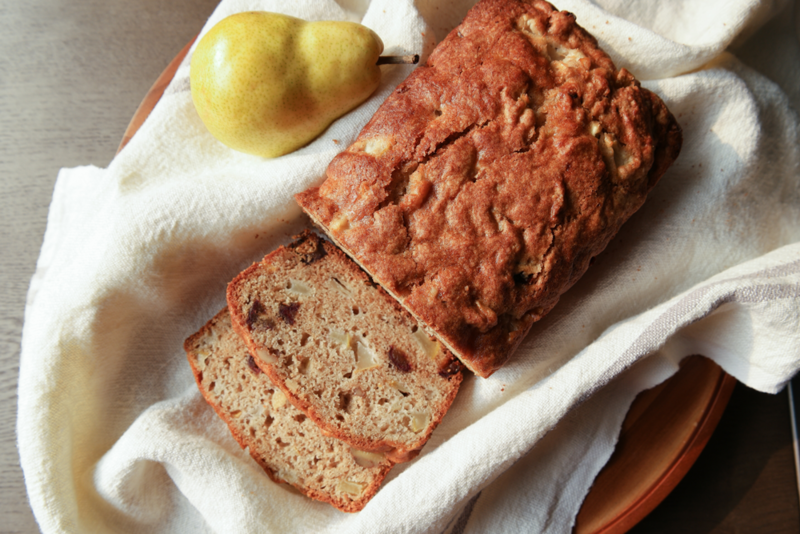 Everyone loves this simple pear bread studded with chopped dates and walnuts. It’s dense and moist, with the perfect amount of sweetness. Raw Bartlett pears steal the show in this colorful salad. 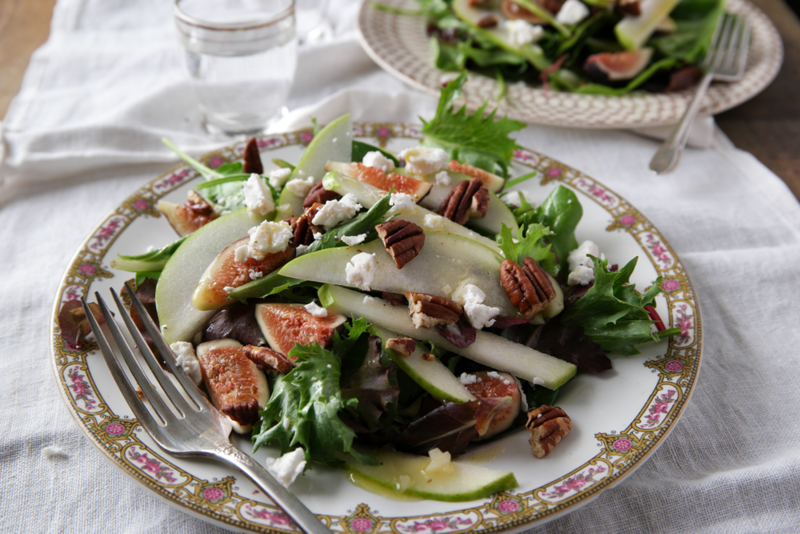 The sweetness of the pears and figs plays beautifully against the salty feta. 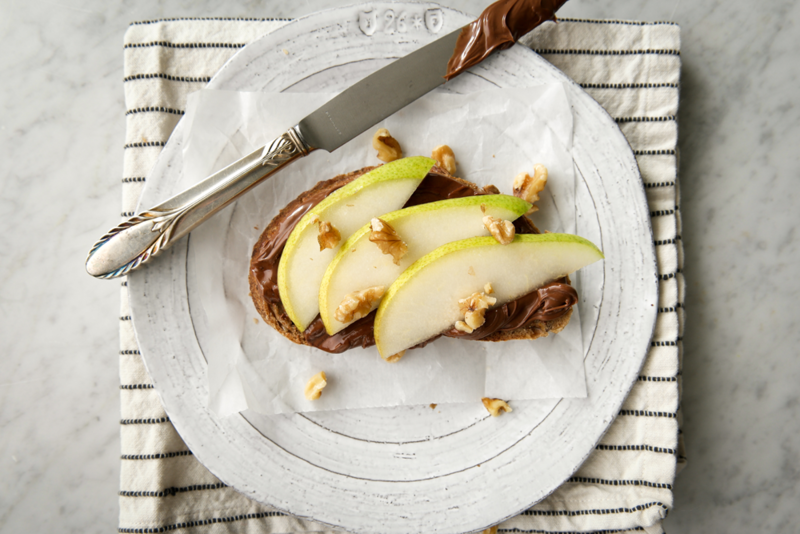 Start your day with a hot slice of toast slathered with chocolatey Nutella hazelnut spread and topped with crisp Bartlett pears and crunchy walnuts. You can have your Bartlett pear and drink it too! 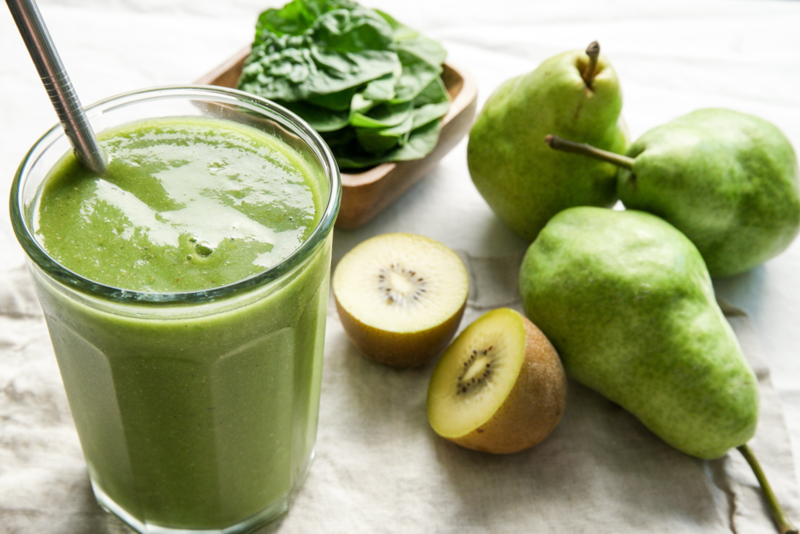 This green smoothie packs a nutritional punch for breakfast on the go or mid-afternoon snack.